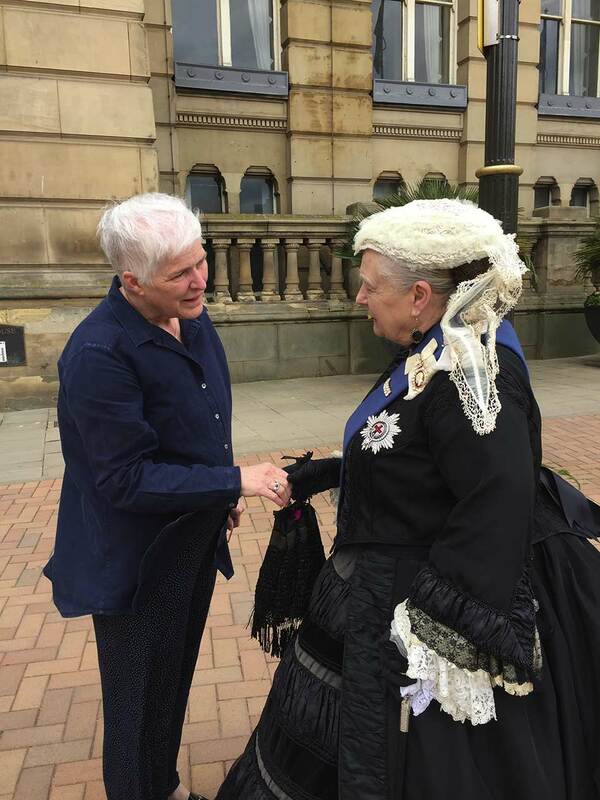 On 11 May, Her Majesty visited the city and gave her royal seal of approval to the restoration of her statue in Victoria Square. As a major part of our Centenary celebrations, the Society part-funded the conservation cleaning of the statue which is cared for by Birmingham Museums Trust. The original marble statue, created by Thomas Brock, was unveiled in 1901, just 12 days before Queen Victoria’s death, with the current statue recast in bronze by William Bloye in 1951. Read more about Victoria’s Square on our website.